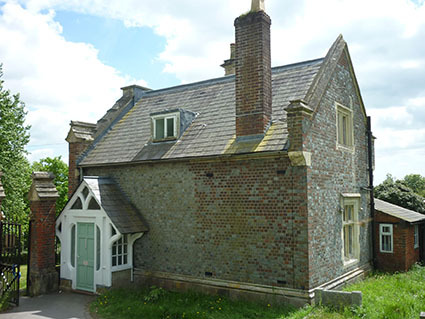 We were commissioned by the University of Winchester to undertake a survey of Cemetery Cottage a brick and stone cottage built in the 1840’s of tudor-gothic style forming the gate-lodge at the St James’s Lane entrance to West Hill Cemetery, Winchester. 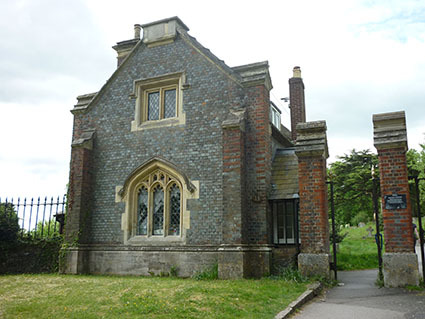 The building is currently used as offices by the University and although not listed, has many distinctive features including ornate stone detailing, leaded light windows and burnt blue-grey bricks which are also evident in local ecclesiastical buildings. The continued use of the building means that it is being preserved and maintained rather than being allowed to fall into disrepair. It’s location at the cemetery entrance is a cut through from the City centre to the University and is therefore passed by by many people every single day.